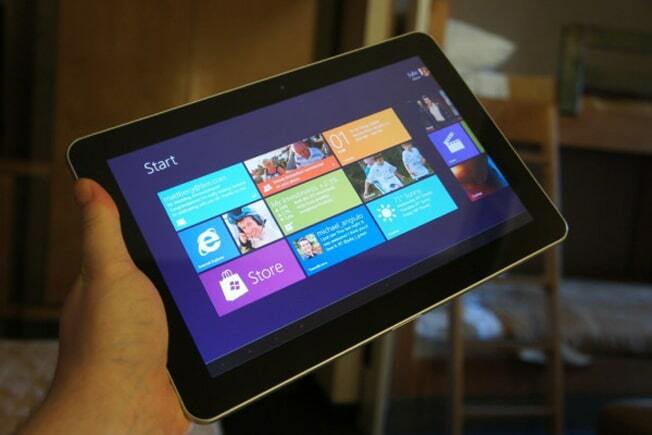 Windows 8 is Microsoft’s answer go Android and iOS that permeate the mobile tablet scene. The personal computing segment itself is changing rapidly and it was not too long ago that netbooks were all the rage and then quickly faded into obscurity. Even laptops are feeling the pinch and in its place has emerged small handheld tablet like devices that operate by touch based inputs. Apple’s iOS and Google’s Android operating systems hold the lions share of the touch based mobile computing segment and while Microsoft did try to break into it with its Windows 7, the results have been far from impressive. The reason is simple, Windows 7 has never been designed to respond to touch based commands, prompting Microsoft to come up with something radical if it wished to survive in the changed world order. Windows 8 is the outcome of those efforts and response towards it and its Metro style user interface has been pretty much astounding so far from both consumers and industry. Also, with Computex all set to get underway from next week, a deluge of Windows 8 powered devices is almost a surety. Among hardware makers that are expected to launch or reveal devices based on the latest Windows version include front line players such as Dell, Samsung, Acer, Asus, Lenovo, Toshiba to name just a few. Among the devices that would be seen playing host to the next gen Windows include smartphones, tablet PCs, ultrabooks and more including personal computers as well. In fact, press conferences can be expected for the big wigs in the business right from day one itself. A Windows 8 tablet from Dell has already come on to the scene and though specifications haven’t been impressive, a better specced device for the consumer segment is still expected. Lenovo too had showcased a Windows 8 tablet named Yoga at the CES event early in the year and more are expected at the upcoming Computex show. Same is the case with other manufacturers as well though confidentiality agreement specifications are preventing local manufacturers from revealing more just yet. We have seen quite a lot of the iPad and its iOS operating system and both have proved their worth in more ways than one. Of its prime competitor, Google’s Android OS too has made its presence felt in the numerous tablet devices that continue to pour out almost every other day. HP tried to make a difference with the TouchPad powered by the WebOS operating system though that fizzled out sooner than expected. Windows 8 has the potential to emerge at the top of it all and while its too early to predict anything of that sort, what seems likely is that the next round of tablet launches will be dominated by Windows 8. Needless to say, that is going to be a welcome change after having to do with Android and its lip smacking versions so far. Meanwhile, Microsoft has stated the Windows 8 Release Preview will be made available by the first week of June while the company’s Computex keynote is scheduled to take place on the 6th of June.